RAW HOLLYWOOD : NEW MUSIC: CALVIN HARRIS FEAT. 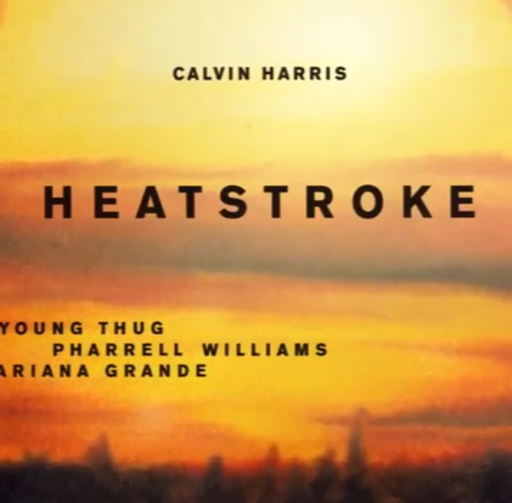 ARIANA GRANDE, YOUNG THUG & PHARRELL WILLIAMS "HEATSTROKE"
NEW MUSIC: CALVIN HARRIS FEAT. ARIANA GRANDE, YOUNG THUG & PHARRELL WILLIAMS "HEATSTROKE"
Scottish DJ/producer Calvin Harris has enlisted Ariana Grandé, Young Thug, & Pharrell Williams for the new record "Heatstroke". As per usual he delivers with yet another dance record ahead of the summer season that will without a doubt be a hit on the dance floor.